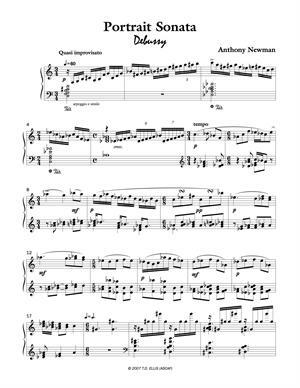 In the portrait sonata I have focused on four great composers: Debussy, Stravinsky, Mozart, and Beethoven. The Debussy movement is a parody of Clair de lune. 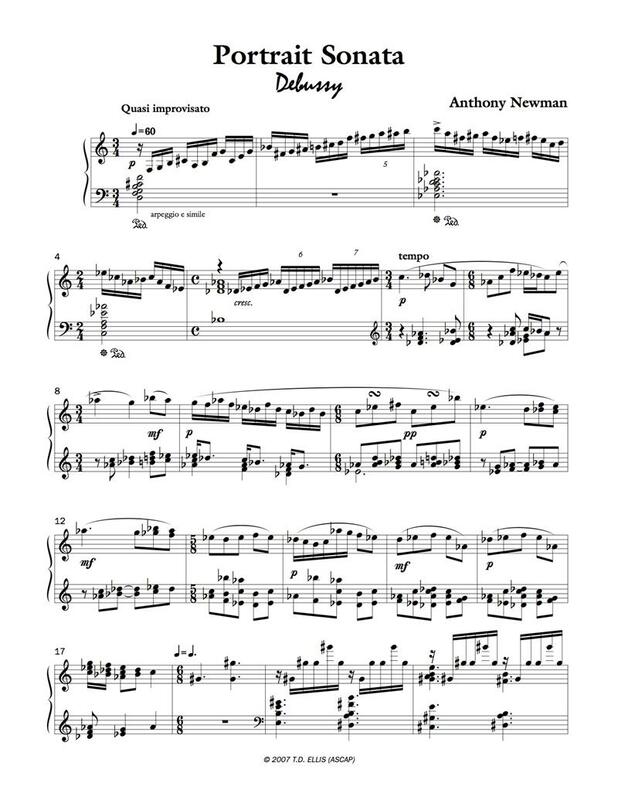 Stravinsky's movement is a small scale ABA, borrowing at the beginning a texture from his Concerto for piano and winds. The Beethoven reminds me of some of his piano fantasies. The last movement of Mozart's Symphony 41 is the model for the large-scale fugal composition.